How do I sign my child(ren) up for camp? On our dates and rates page, found here, you can click on the “Register Now” button and it will walk you through the full camp registration. My camper has a late birthday, and won't be 6 by the week of camp, can they still come? Of course! As long as your camper has turned 6 (or 10 for overnight camps) by the end of 2019, they are eligible to come to camp. If for some reason your camper is unable to come to camp you can only withdrawal from a camp week by contacting the Camp Office. A refund of the camp fee, less a $50 deposit will be issued upon receiving notification in writing by our office on or before June 15th. Withdrawal requests after June 15th are not eligible to receive a refund unless accompanied by a doctor’s note that specifies the injury/illness that prevents the camper from attending camp and participating in the program. A pro-rated refund will be issued as long as a doctor’s note is submitted to the Camp Office within 48 hours confirming the injury and recommended discontinuation in the camp program. Refunds will not be issued for program changes due to inclement weather. Refunds will not be given for children that are not happy at camp or want to leave. It is the job of the camp staff to create a welcoming and supportive environment and we will do everything we can to make it so. If campers come home unhappy, please contact the Camp Office so the situation can be resolved. No refunds or credits will be made for absences missed by the participant. How can I sign my camper up for the wait list? Once a week at camp has sold out, you can add your campers name to the wait list. Go to our dates and rates page, click on the “Register Now” button and you can select which weeks you would like your camper (s) to be on the wait list for. There is no cost to be on the wait list and you can remove your name at any time. You will be notified as soon as a spot has opened up for your camper(s). Is there a cost to be on the wait list? There is no charge to be placed on the wait list and you can choose as many weeks that you would like. If my child(ren) is on a wait list, what are the chances of them getting in? Someone cancels and their spot opens up. Camp Manitou is sometimes able to open up more spots for certain weeks of camp. This would most likely occur between May and June. Camp Manitou has lots of super fun activities! Every day you will be doing approximately 6-8 activities. These can include: camping skills, court sports, hiking, nature based arts, orienteering, team building, archery, biking, field games, swimming, canoeing, fire building, zip line, and floor hockey. Can I use my cellphone, iPad, or tablet at camp? Being at camp is all about stepping out of the everyday and connecting with nature. Electronics are not allowed at camp so that you can fully engage in the activities and have tons of fun! Plus, we wouldn’t want anything to get lost or go missing. Can I be in the same group as my friend? Yes, you can request a friend to be in the same group as you. You must be of a same age and complete the ‘friend request’ section on the registration form. We will try our best to make sure that you are in the same group as your friends. Make sure to tell your friends to request you too! If you are coming for day camp and your friend is coming for overnight camp, or vice versa, unfortunately this friend request will not work. Make sure that you and your friend are both signed up for the same camp! Can I choose my activities at Camp? All campers are scheduled to participate in all activities at Camp Manitou in order to give them a well-rounded experience and the opportunity to be involved in all camp has to offer. We try to vary the activities so that campers get to experience all of camp has to offer. Food at Camp Manitou is awesome! Every day you get to have a delicious and nutritious meal in our lodge dining room. Plus a yummy snack at the end of the day that could be a granola bar or chocolate chip cookie! Make sure you wash your hands and clean up your spot when you are finished! Am I allowed to bring extra food to camp? You sure can! If you like to have a few extra snacks around just in case, that’s totally fine. You can leave them in your backpack during the day and grab them during your many rest and water breaks. You won’t have access to a microwave or fridge though, so make sure to bring snacks that don’t need to be refrigerated or warmed up! And make sure all snacks are peanut free! Will I like my counsellor? We are sure of it! All of our counsellors work together to make sure that you have the most fun at Camp Manitou! Your counsellor was specifically chosen because they love working with kids and youth and are awesome at having fun! You will get to have both group leaders and activity leaders at Camp Manitou so lots of people to get to know and have fun with. If you have any questions or concerns don’t be scared to talk to your counsellor – Camp Manitou staff is there for you! Can I call home? Can I email and text my friends? Being at camp is about making new friends and connecting to nature around you. We ask that you don’t call home during the day. If you have an emergency please let us know and we can get ahold of your family or whomever you may need. You will not be allowed to have your cell phone during activities. You will meet lots of new people at Camp Manitou! Going to camp is all about making new friends and trying new activities together. Will we be outside a lot? YES! Almost all of the activities at Camp Manitou take place outside. Make sure you pack clothes that are good for all kinds of weather. Don’t bring your favourite expensive jeans or t-shirt – you might get a little dirty at camp. Also, make sure to bring appropriate shoes – runners for walking and doing activities and flip flops for pool time. Camp activities are even fun in the rain. If it’s raining make sure you bring rain gear and a change of clothes. Nothing stops the fun at Camp Manitou! You should label and put your name on everything that you bring to camp. It’s very easy to misplace something when you’re so busy having fun. If you lose something, check with your counsellor and look through the lost and found. Yes, campers may request a friend to be in the same group as them. Campers must be of a same age and complete the ‘friend request’ section on the registration form. Every effort is made to honor friend requests when they are within one year of each other and registering for the same camp session. Both friends MUST request each other. Day Campers cannot request overnight campers and vice versa. What are the qualifications of your camp staff? What are your procedures to ensure that campers are safe? Safety and supervision are essential at Camp Manitou. Each Activity Leader has participated in relevant training in order to ensure our programs are delivered in accordance to best practices and risk management. Activity Leaders have experience working with children in and out of camp settings, as well as working with children and youth of different ages, backgrounds, and personalities. In addition to First Aid, CPR and AED certifications, leaders hold relevant certification in their respective program areas. Staff members are also required to provide a clear Criminal Record Check for vulnerable persons. Camp Manitou has a Policy, Procedures and Risk Management Plan in place which addresses emergency situations and specific responsibilities of staff. Each Activity Leader will provide clear and concise rules to address safety and supervision concerns prior to starting the activity. Our staff are trained in camp emergency procedures such as dealing with injuries and fire evacuation plans. All camp staff members have two-way radios so that they can receive any emergency procedure instructions and communicate issues with the camp director any time throughout the day. On the first day of camp, we have an orientation session with campers to review camp rules and property boundaries. We also review specific rules prior to starting each activity. In addition, we create a buddy system with campers and conduct camper head counts throughout the day. All campers are signed out of camp to ensure that they go home safely. What is involved in the pick-up and drop off at Camp Manitou? There is free parking available at camp, please park in the designated parking areas. When you drop off your camper at Camp Manitou, you will have to sign them in, drop off their medications if they have any and send them on their way! For pick up, come to your designated pick up location, show us your photo ID, and sign out your camper. Why do I need to sign my child in and out each day? We need to make sure that we have written documentation of when campers are dropped off and who is going to be picking them up. Once campers are entrusted in our care, they are monitored by camp staff at all times until they are picked up by a parent/guardian. When you pick up your camper, please make sure that you have your photo ID ready. What do I do if I am going to be late to pick up my child or I have to get someone else to pick up at the last minute? If you are going to be late, please call the Camp Manitou office at 204-837-4508 as soon as possible to let us know that you are going to be late. When you arrive at camp, please come to the general office (beside the kitchen) and we will be able to take your camper to the location of their group. All campers must be picked up by 5:00 PM. There is a $5 charge for every 15 minutes past 5:00. What if I need to contact my child during the day or if I have an emergency? We ask that you do not contact your child during the camp day, if it is an emergency, please call the camp office at 204-837-4508. Will my child have an opportunity to choose some of his/her activities? All campers will be scheduled to participate in all activities at Camp Manitou in order to give them a well-rounded experience and the opportunity to be involved in all camp has to offer. We try to vary the activities so that campers get to experience all camp has to offer. Camp Manitou has a variety of rainy day activities planned if the weather is not cooperative, as is the case many days in Manitoba. Please make sure that your camper is fully prepared every day for all types of weather. Unless it is pouring rain, or the weather conditions are unsafe to be outside in, activities will still go on as planned. Learning to camp in the rain is something that can be a fun challenge! What should my child(ren) bring to camp? What should my child(ren) not bring to camp? Please refrain from bringing electronics or valuables such as wallets, cellphones, and iPods, as they may get lost or damaged. Camp Manitou is not responsible for lost, damaged or stolen items. In order to maintain safety standards, cellphones and other electronic devices cannot be used during programs/activities. Please do not bring clothing and/or swimwear that is immodest or has offensive language/pictures on it. Will my camper need money at camp? Camp Manitou includes the cost of all aspects of the program in its initial fee, so your child does not need to bring any money with them. At the end of each day, the Camp Manitou tuck shop will be open where campers can purchase snacks, candy, and drinks. Overnight campers have a small amount to spend each evening, this cost is included in their registration fees. Does the camp provide healthy food or snacks? All Camp Manitou food and meals are based around providing campers with the five food groups and giving them healthy food and energy in order to fully participate in all the activities Camp Manitou has to offer. All camp food and nutritious are created with kids in mind as Camp Manitou strives to provide healthy and fun food options for kids that they will want to eat. Do you operate a nut-free facility? Camp Manitou is a nut aware facility. We cannot guarantee that nuts are not in the facility, but all of our food is made nut free and we ask that people do not bring food to camp that has nuts in it. How does the camp deal with dietary restrictions? Our staff members develop appetizing and nutritious meals for both children and youth, and the leaders that accompany them to camp. Camp Manitou strives to serve meals that follow the Canada Food Guide. Camp Manitou understands that many children may have allergies or dietary concerns and this is reflected in the daily menus. Camp Manitou does not serve any nut products. Please let us know if your camper has any special requirements when it comes to food so that we can be sure to accommodate them at lunch and snack time. Can my camper bring his/her own food? Campers are allowed to bring snacks with them that they can keep in their bags. Camp Manitou is a nut aware camp and therefore, we ask that you do not bring anything that has peanuts or nuts in it. Campers will not have access to the fridge or the kitchen for their personal snacks. Please be sure to indicate this on their registration form and fill out a medication form so that Camp Manitou staff know which medication the camper needs to take, how much and when. Make sure to bring the medication with you when you drop your child off and give all necessary information to the sign-in staff. Camp Manitou requests that medications required throughout be sent with your child to camp. All medication brought to camp MUST be kept by camp staff, including any over the counter medications. They must be labelled properly with medication name and directions for use. Prescription medication MUST be in the original container with user’s name printed on label. If you want your child to carry their puffer or Epipen with them please bring a fanny pack for that purpose. Please do not use the week of camp as a break from medication. All medications left behind after camp will be disposed of after 2 weeks. The camp reserves the right to refuse admission to any camper with a suspected contagious condition (i.e. chickenpox, lice). To ensure your child has an enjoyable week and to protect other campers, please have any condition treated completely before coming to camp. If this is not possible, please call and reschedule to another week, depending on availability. What kind of first aid services are available at camp? Our activities are carefully planned out with contingency plans should situations dictate a change. In addition to explaining safety guidelines to participants, our staff ensures that all participants receive detailed instructions and support as they complete activities. We have a defibrillator, first aid kits, as well as water safety kits on site. Camp Manitou does not have a specific camp doctor or nurse, although all staff members are trained in Standard First Aid and CPR C. In addition, we are 15 minutes away from the Grace Hospital and have access to ambulance services and Emergency Response Technicians should an incident arise. What certification does your Pool staff have? Our pool staff members hold a current National Lifeguard Standard along with Standard First Aid, CPR and AED certifications and have previous experience supervising children in a public pool setting. Camp Manitou pool has 2 lifeguards on duty at all times, and an activity leader to monitor the campers while they are in the pool. What if my camper cannot swim? If your camper cannot swim then they will be given the option to do another activity at that time, or there are life jackets available for swim time. If a camper would like to swim in the deep end, they must be able to swim 2 laps of the pool before the lifeguard will allow them into the deep end. Our play structure is also situated right beside the pool and this is a popular place for campers to play when they are not swimming. Please make all cheques and money orders payable to ‘True North Youth Foundation’ and mail to 345 Graham Avenue, Winnipeg, Manitoba R3C 5S6. How is the True North Youth Foundation affiliated with Camp Manitou? The True North Youth Foundation is the charitable arm of the Winnipeg Jets, and ‘charity of choice’ for Bell MTS Place and Bell MTS IcePlex. The Foundation allows players, their partners, coaches, board members, and True North staff to contribute to the community of Manitoba in a concerted and centralized manner. The foundation operates under the direction of Dwayne Green, Executive Director, in partnership with a dedicated volunteer Board of Directors. The True North Youth Foundation entered into a long term lease and operating agreement that resulted in the foundation assuming the operations of the Camp Manitou effective January 2, 2014. 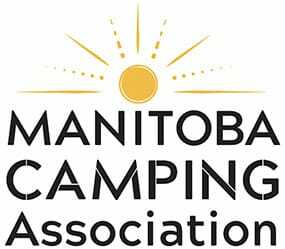 The Manitoba Camping Association develops and maintains standards for organized camping in Manitoba. It is through the Standards and Accreditation program that we help the general public identify safe, healthy, well-run camps. Camp Manitou is accredited by the Manitoba Camping Association. In order to ensure safe, healthy, well-run outdoor activities, Camp Manitou is committed to meeting industry standards and maintaining best practices in its execution of camp programming and delivery. When will I know if I my child is signed up for camp? The registration is processed only if information is complete, the full fee is enclosed and the registration form and waiver form are completed and signed by the parent/guardian. You will be notified of your acceptance by e-mail. Make cheques or money order payable to the True North Youth Foundation. Any cheque that is returned, due to insufficient funds, will be charged a fee of $25.00 and will result in cancellation of your registration. Cheques can be mailed to the True North Youth Foundation, 345 Graham Avenue, Winnipeg, MB R3C 5S6. We also accept credit card payments (Visa, MasterCard and American Express). Please call the camp office to make your credit card payment.